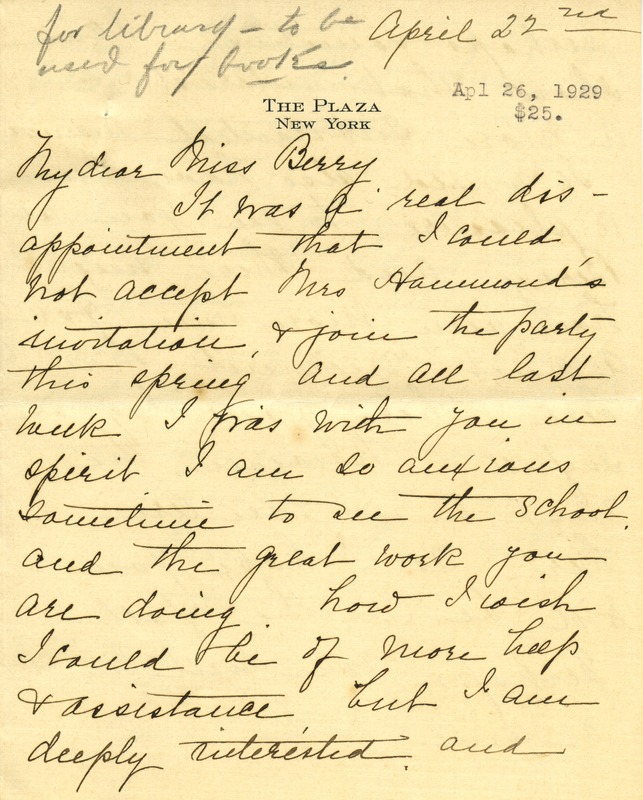 Letter expresses disappointment about not being able to attend Mrs Hammonds' party and discusses her wish to meet with Miss Berry that fall. Mrs. MacArthur also encloses a check to be used to buy library books. 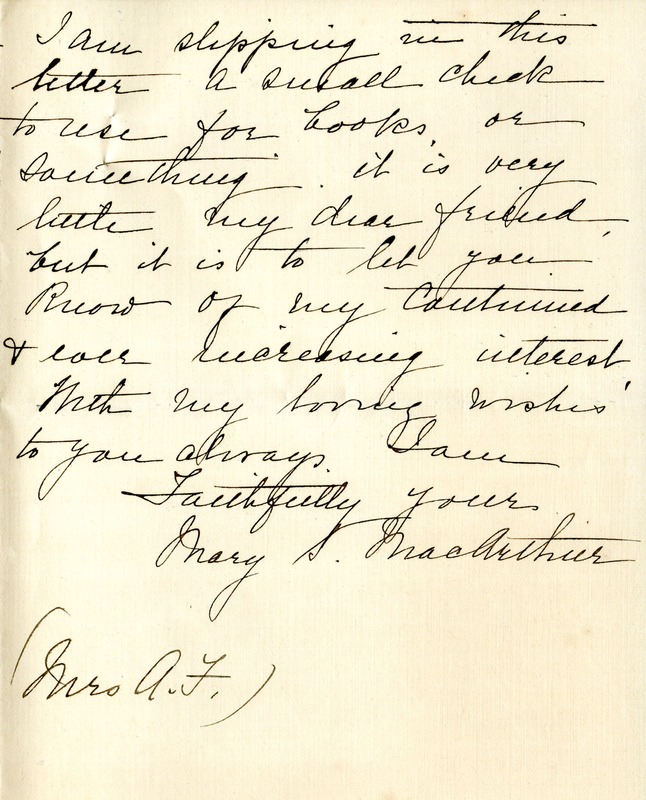 Mary S. MacArthur, “Letter to Martha Berry from Mary S. MacArthur.” Martha Berry Digital Archive. Eds. Schlitz, Stephanie A., Sherre Harrington, Chelsea Risley, Alan Henderson, et al. 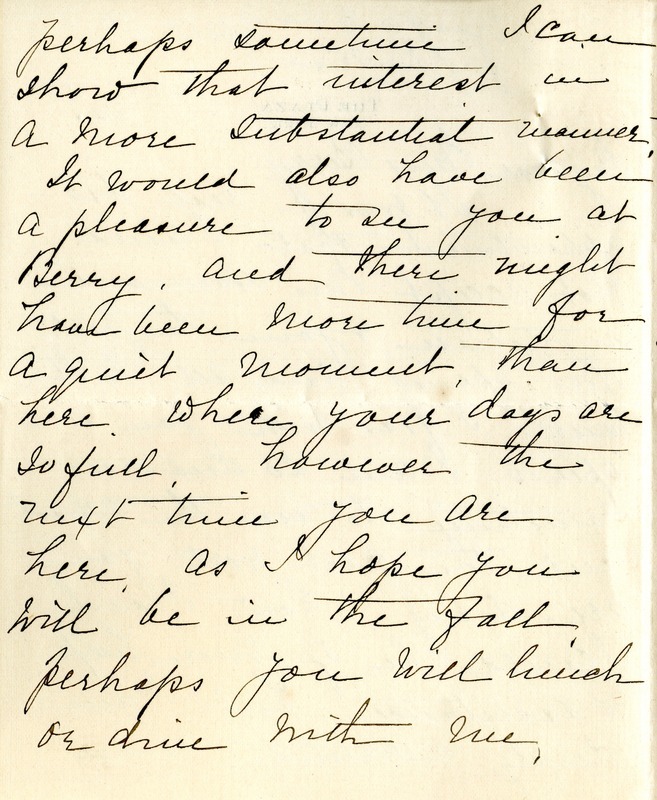 Mount Berry: Berry College, 2012. accessed April 26, 2019, https://mbda.berry.edu/items/show/10546.